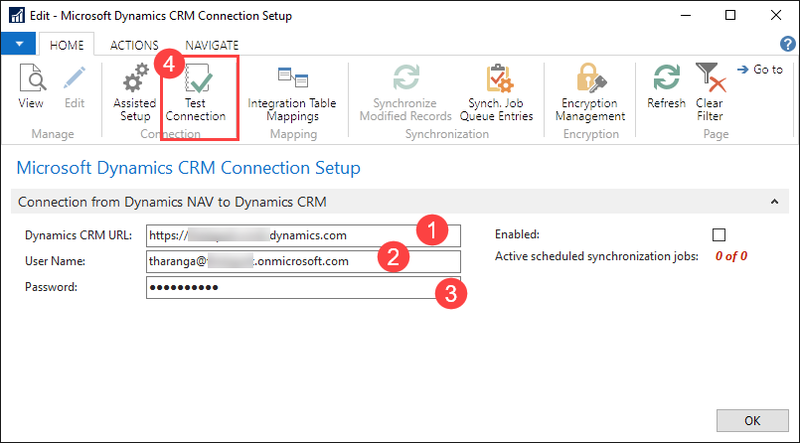 Due to a change in the CRM SDK implemented in December 2016, customers in multi-tenant NAV environments with CRM Integration enabled may find that CRM syncing is disabled or fails intermittently. Affected versions include NAV 2016 CU14, NAV 2016 CU 15, NAV 2017 CU1 and NAV 2017 CU2. 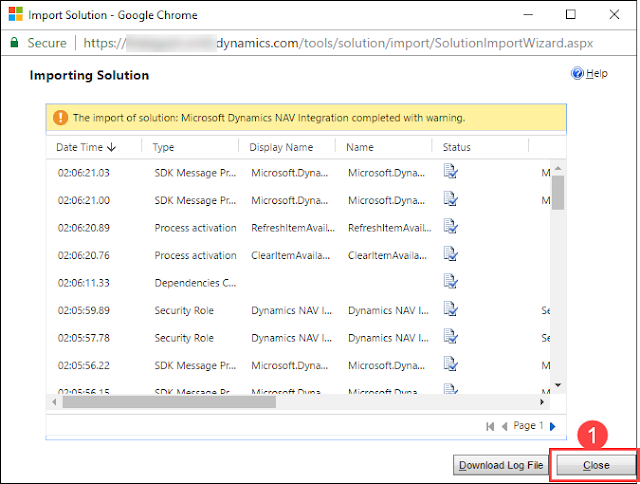 Any multi-tenant environments on an affected version using CRM integration should implement NAV 2016 CU 15.1 or NAV 2017 CU 2.1 as soon as possible as a precautionary measure. 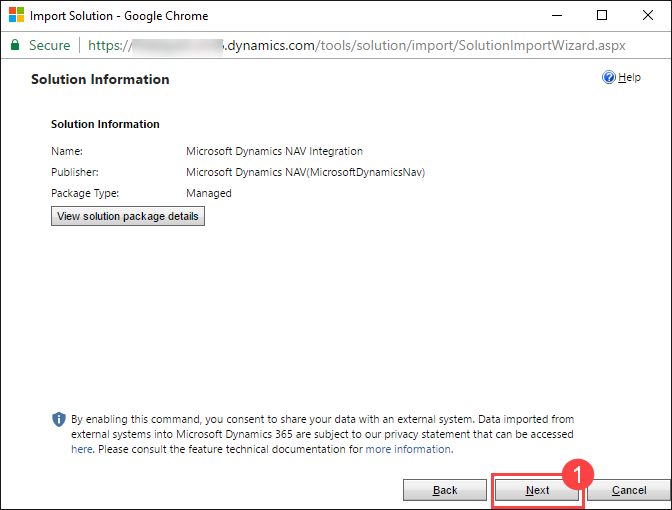 Customers on Dynamics 365 for Financials do not need to take any action; this issue has been corrected in all available versions. 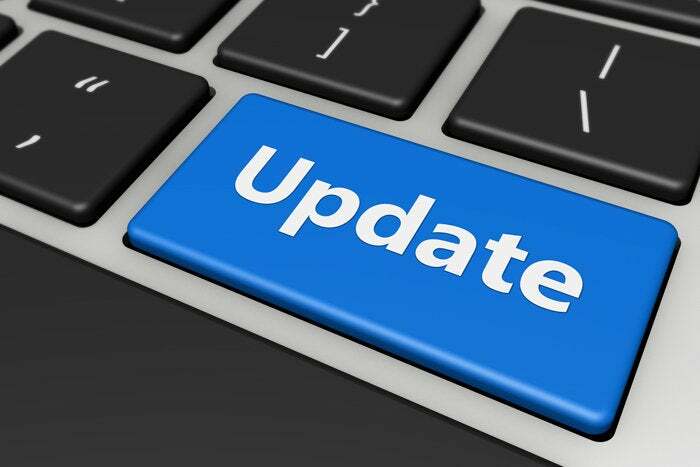 NAV 2016 CU 15.1 and NAV 2017 CU 2.1 will be released as soon as possible. This blog post contain step wise guide on how to integrate Dynamics NAV 2017 with Dynamics CRM Online (Dynamics 365). If you like to create a temporary test CRM account, please follow below steps in the gif. Make a note of Dynamics CRM URL and user account details in a separate notepad. These details will required at the later stage of configuration. 01. Once the CRM account is in place you need to import the Dynamics NAV integration solution to CRM. Step 01. In order to do that you need to go to Settings of CRM. Step 01. 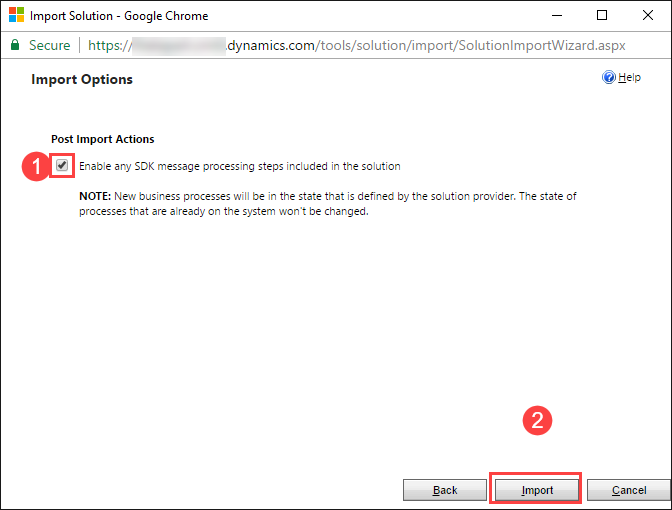 If you want to enable anyh SDK messages proceswsing steps include in the solution then tick the check box. F. Solution will start to import to Dynamic CRM. G. Check for any errors and if there is need to correct those. Step 01. 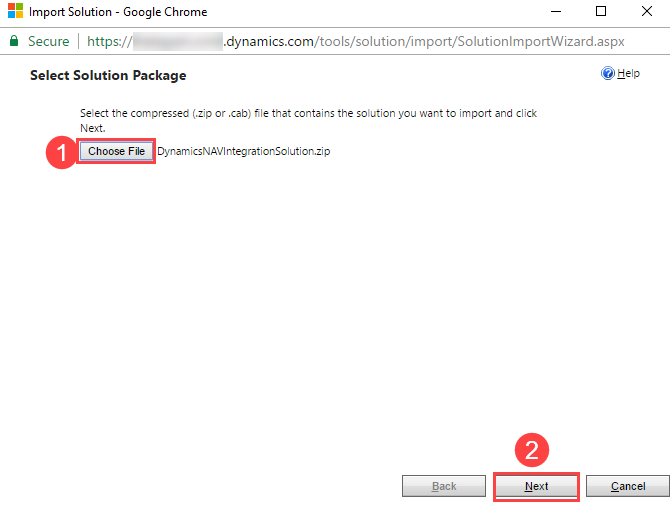 Click on Close after checking the details of imported solution. H. Imported solution will be list down in the All Solution view of the Dynamics CRM. 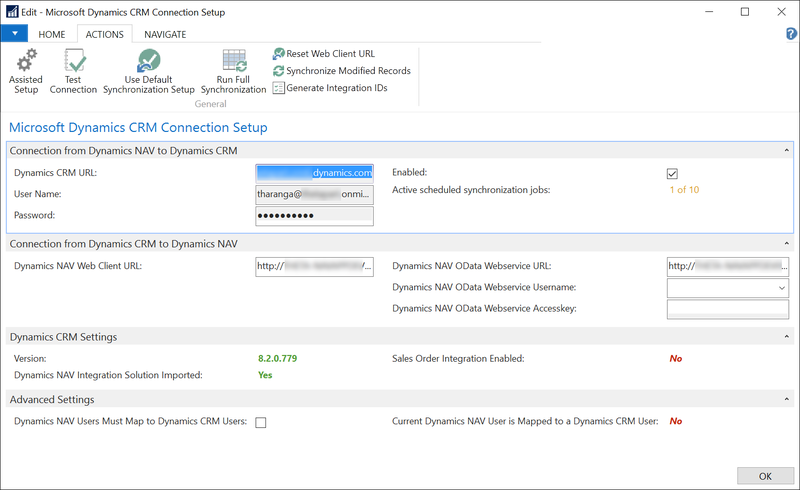 Once the solution import is complete in the Dynamics CRM, now we need to setup Dynamics NAV for integration. A. 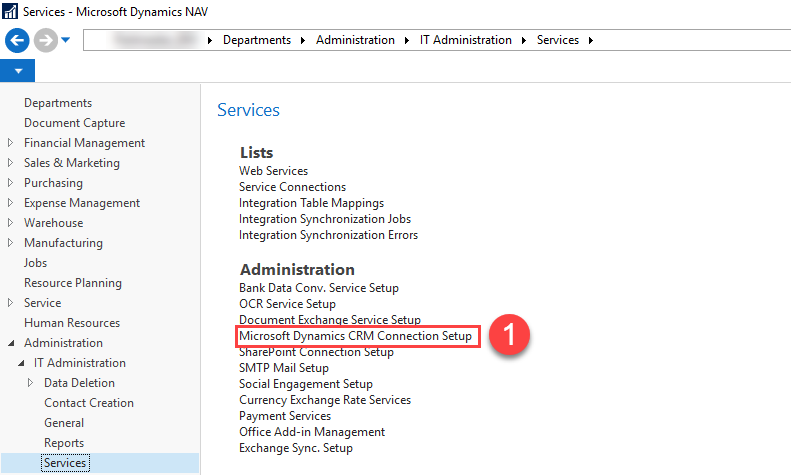 In order to config Dynamics NAV you need to navigate to CRM Connection setup page. Step 01. Navigate to "Department -> Administration -> IT Administration -> Services -> Microsoft Dynamic CRM Connection Setup"
Step 01. 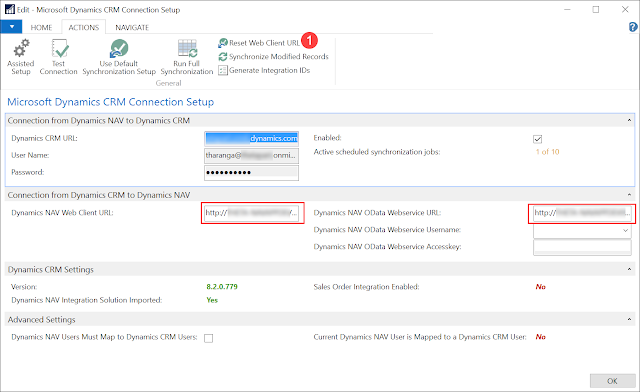 Enter the Dynamics CRM URL which you noted down in notepad after creating CRM instance. If the connection details are correct then it will show below message. If you are using the Dynamics NAV 2017 version you have an new option which will help to setup Dynamics CRM connector. This assisted setup is a wizard which will take you through all the main steps to complete the setup. Step 01. 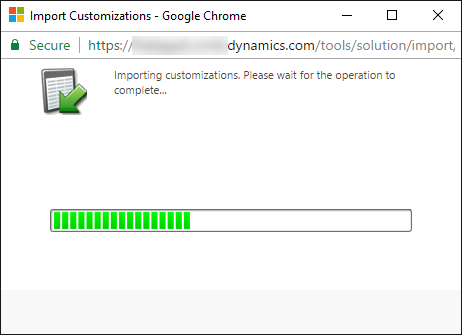 Click on "Assisted Setup" and go through the steps to complete setup. 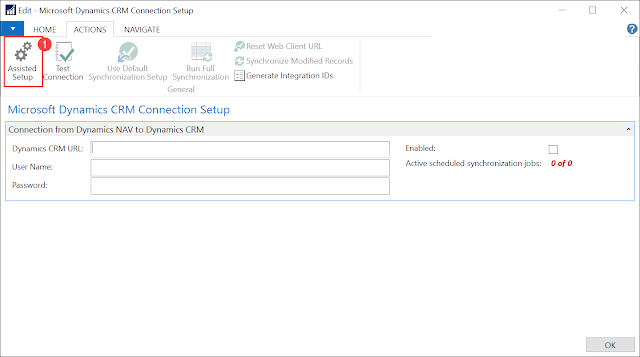 Once the connection is enable it will show scheduled jobs which liked with Dynamics CRM. D. Setup Dynamics NAV Web service URLs. If URLs are not setup by yet you need to manually add the URLs to setup or you can use "Reset Web Client URL" option available. Step 01. If URLs are not setup then Click on the "Resent Web Client URL" option. It will populate required URLs into the setup. 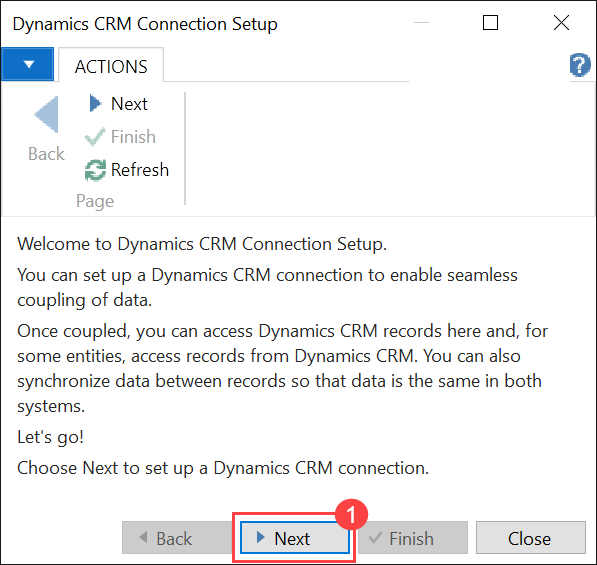 Once the above steps is completed, CRM connection is almost done. (Using default configurations). 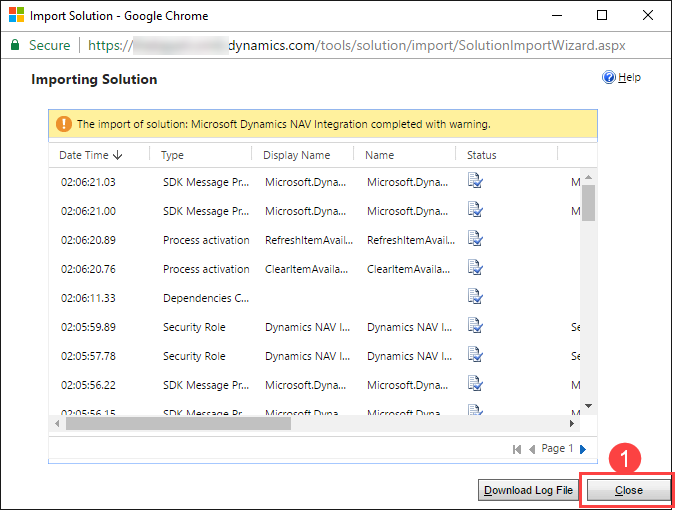 If you required to change the synchronization data flow direction, tables, fields then it required additional steps. Which we will discuss in a later blog post. The blog post was updated on 11. January 2016 to also mention Datacenter Edition. Second consecutive year as a Microsoft Most Valuable Professional. It is a great honor to receive the most prestigious award a person who works with Microsoft technologies can receive. The Microsoft Most Valuable Professional (MVP) award. I want to thank all the people who helped me to achieve this dream. Thank you very much for all of my blog readers and specially to the people who given me the feedback on each and every post that I have posted on my blog. Those valuable feedback helped to become the person who I am today and it was really a privilege to be the part of the community and help you all. As I always believe, best way of learning is sharing the knowledge and helping each other. It allows us to see things differently and gain so much of knowledge we have never even able to get reading all the books around us. Most of you have reached me via my E-Mail or through Dynamics NAV Community Forum and I will try my best to keep in touch with you all. Sorry if I have miss any of your e-mails, requests, SMS, feedback. (Please do buzz me all the time if I did miss to reply). Finally I want to congratulate all fellow MVP's whose status is renewed or got selected for the first time just like me. I have long way to go and hope everyone will be with me till the end.. 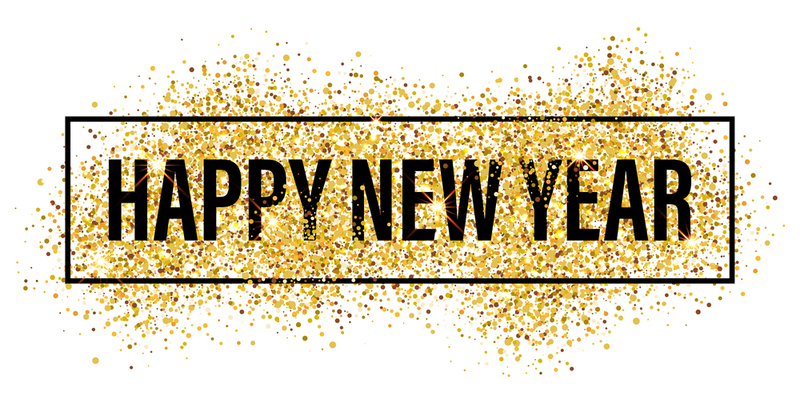 It's 2017 already and I wish you and all your loved once a perfect year ahead. 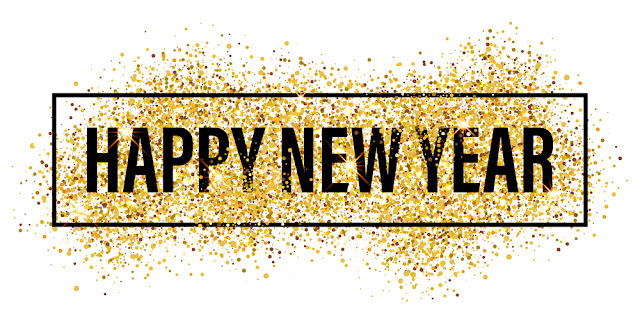 Year 2016 is one of the best year for me due to many reasons. Specially it is the first year I got the MVP award from Microsoft for Dynamics NAV and it allows me to become the first Dynamics NAV MVP in Sri Lanka. It is a dream come true. During the 2016 year I have published around 80 blog posts and participate in the Microsoft Dynamics NAV Community forum actively. I have answered around 800 questions and moderate the forum actively. I believe my activities were helpful to the users all around the world. I have actively participated in some of the major conferences in South Asia region and spoke in many Dynamics NAV user groups about new technologies related to Dynamics NAV. I manage to introduce "Dynamics NAV Cloud (Azure) Hosted Solution (SAAS)" to Sri Lankan Dynamics NAV community during "Azure Roadshow 2016 | Global Azure Bootcamp" and it was a huge success. In the year 2017 I would put more focus on Dynamics NAV Extensions and in order to reach more audience I will be creating more Youtube videos in my Youtube channel. I am planning to visit selected Dynamics NAV conferences in USA and Europe in year 2017 so that I can share more information with my readers.